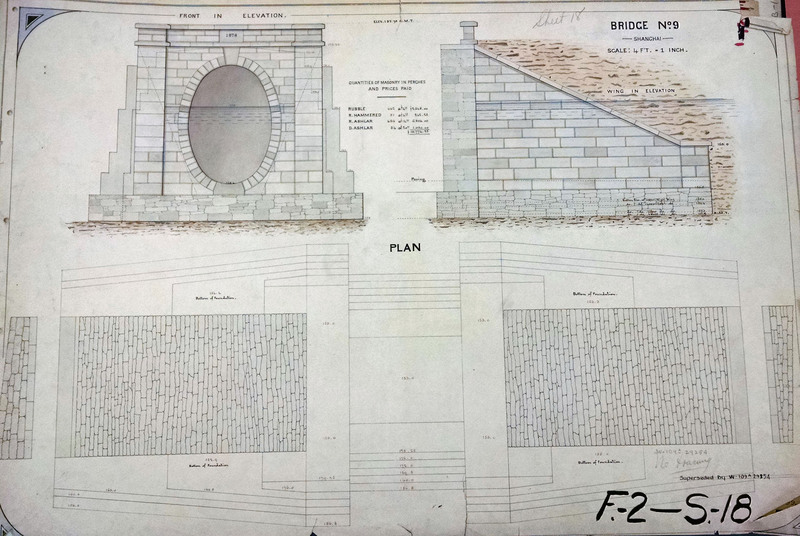 Started planning back in 1854. 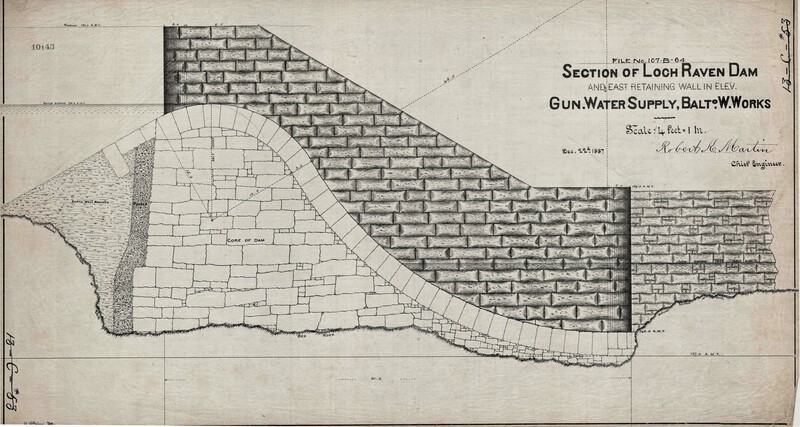 Elevation of 160’ would supply seven-eighths of population (according to contour lines). Supplying others outside that elevation would be a matter of mechanical detail (pumping stations). 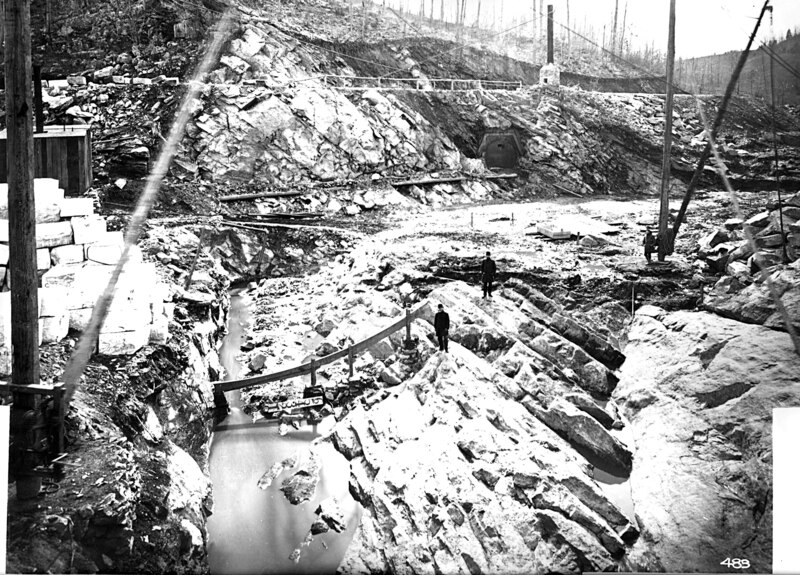 The need to keep Lake Roland and the Gunpowder as two distinct and separate supplies, as Lake Roland becomes muddied during rainy season (this was why Druid Lake was constructed). 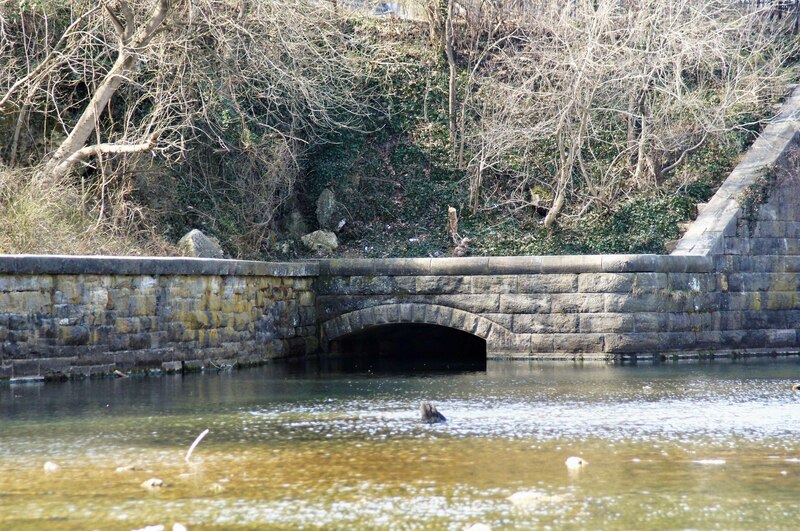 It was first suggested to tap the river as far up as the Warren Factory but concurred by a host of engineers that the proper volume of water could not be obtained by damming at any point above Raven’s Rock and most agreed to a point further downstream about where Mr. Martin has located it. 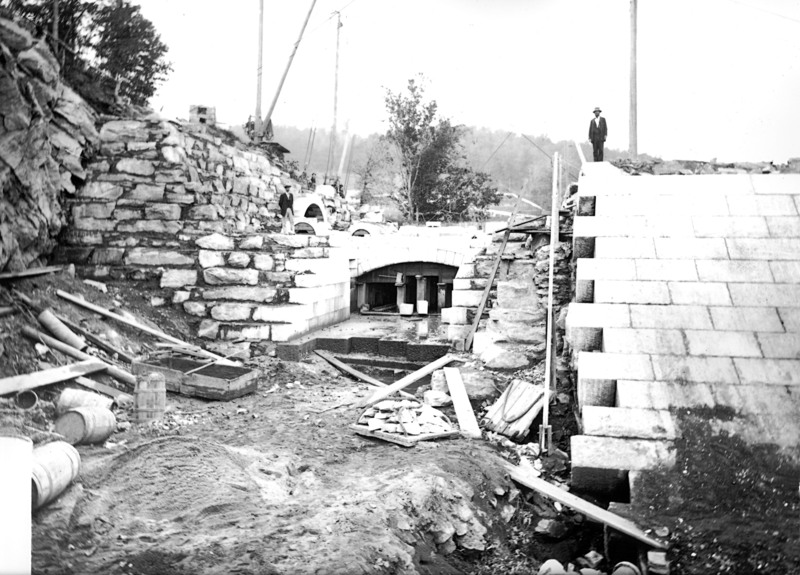 The dam will be erected on the Gunpowder river, at a point admirably adapted for the purpose, a short distance above Mine Bank Run, and the lake thus formed, will extend up the river as far as Meredith’s Ford Bridge at the Dulaney Valley Turnpike, where the pump house connected with the ‘Temporary Supply’ is now located…will flow by natural gravity through a twelve foot pipe to a lake at Montebello, between Hillen and Harford roads, located in a natural basin formed by one of the tributaries of Herring Run (Tiffany Run). 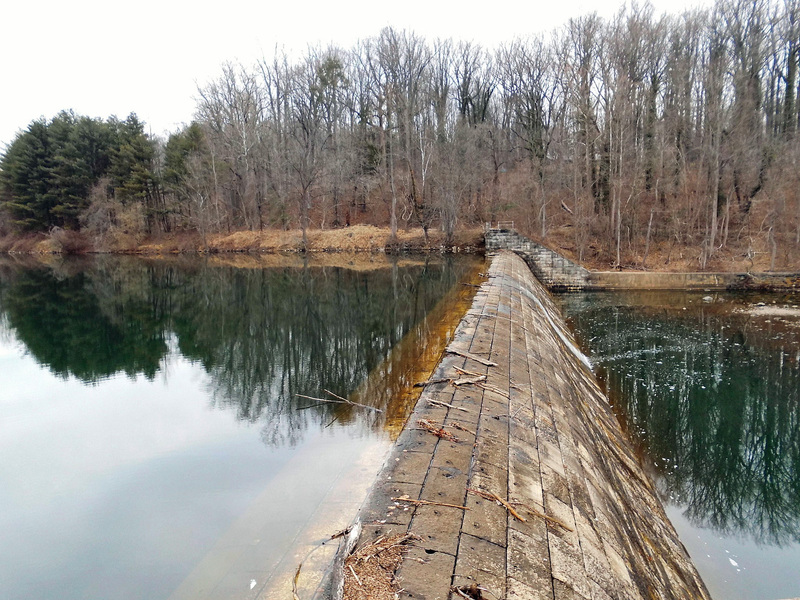 The lake will have a water area of about eighty acres and a storage capacity of 700,000,000 gallons. 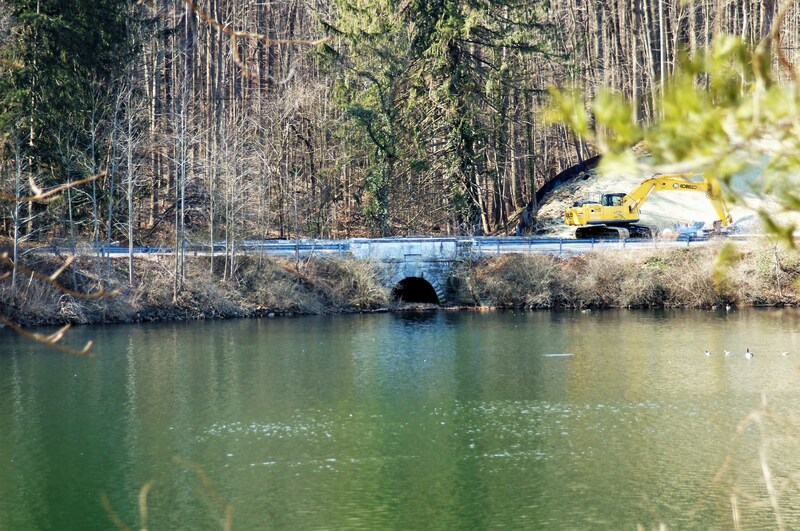 The twelve foot pipe (conduit) will continue to a point on the Harford road opposite Homestead, whence pipes will be laid to connect with the city pipe system at North Boundary Ave. and Washington St. Lake Clifton. 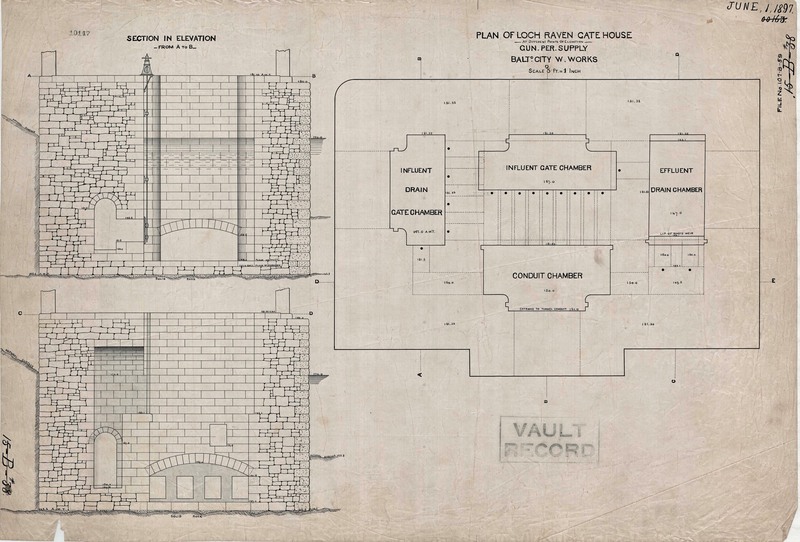 A drawing of the Loch Raven Gate House a couple years after completion, for the engineer’s files. 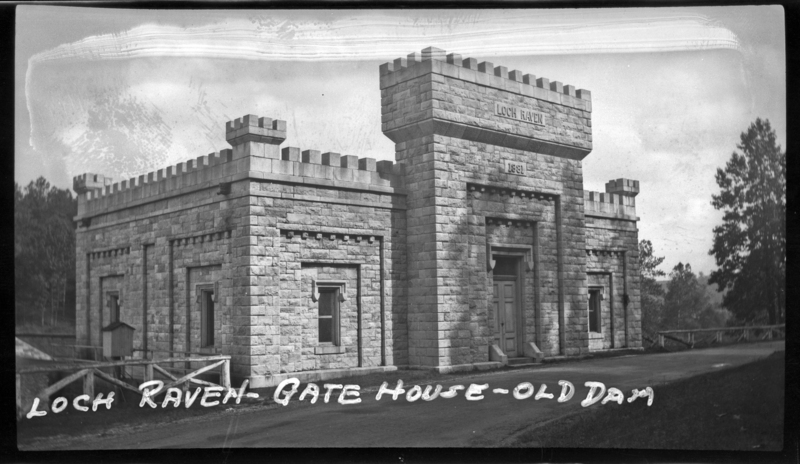 The Gate House and how it looked in the 1920s. An interior, cut away view. The influent drain chamber to the yet to be built Gate House. 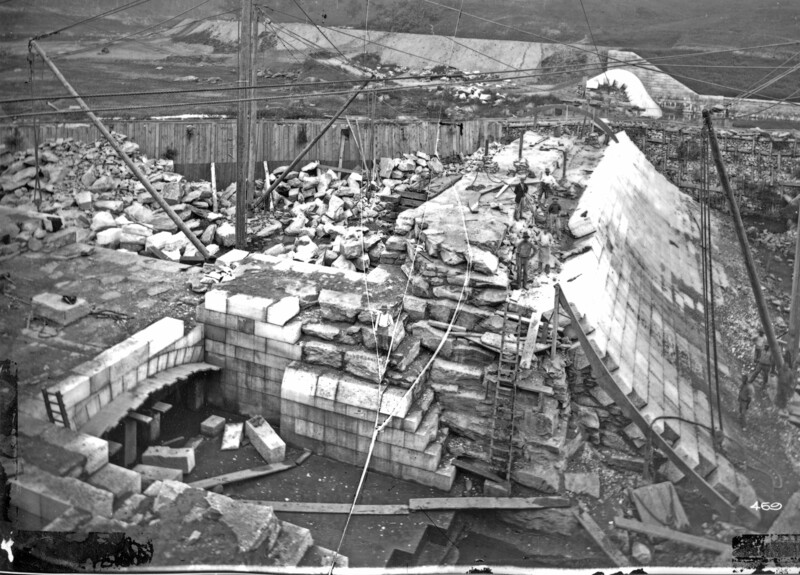 Looking over the construction of the dam, towards the east wall. 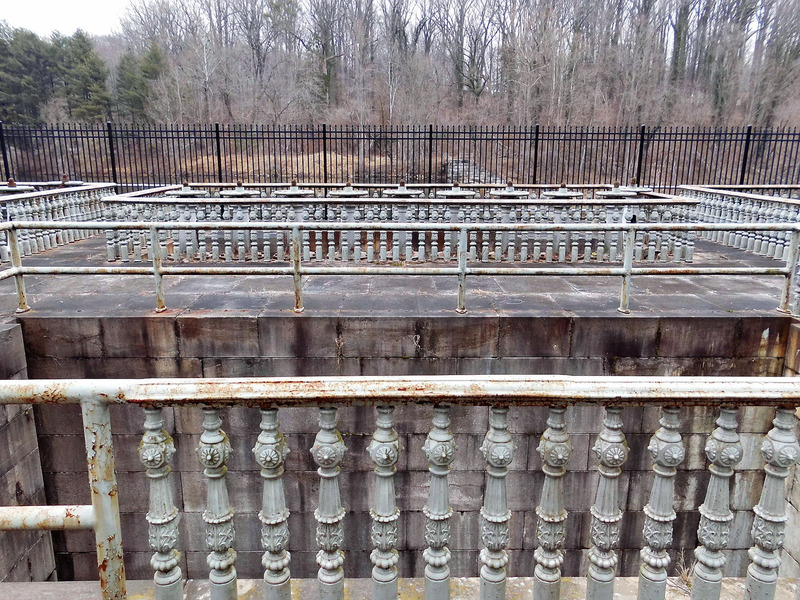 A recent view of the discharge conduit, below the dam. 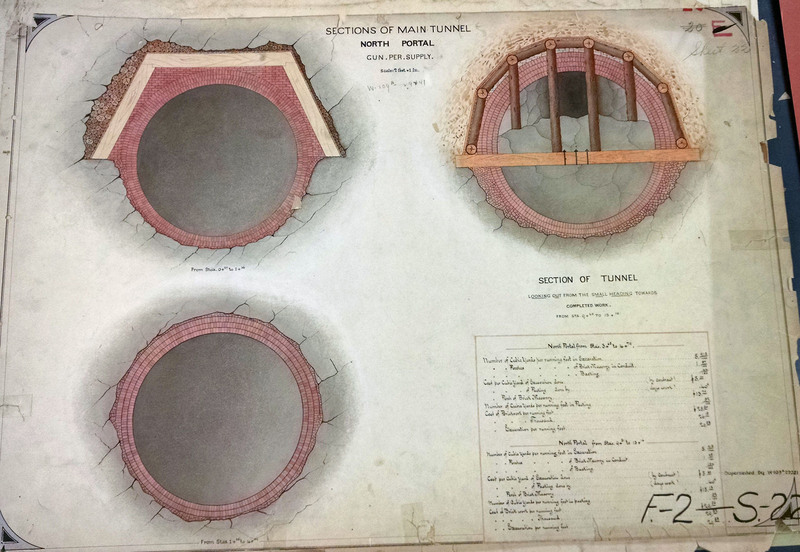 As shown in third photo above. 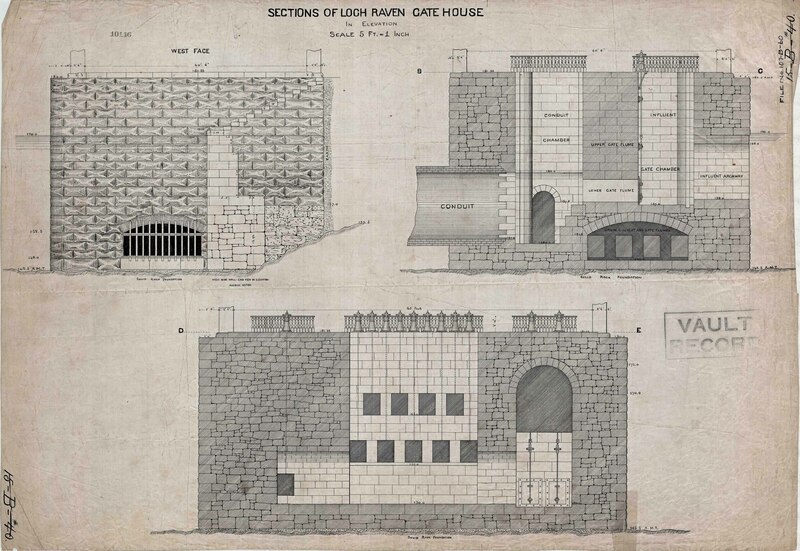 Another drawing of the Gate House structure. Where it says Vault Record would be facing the road. 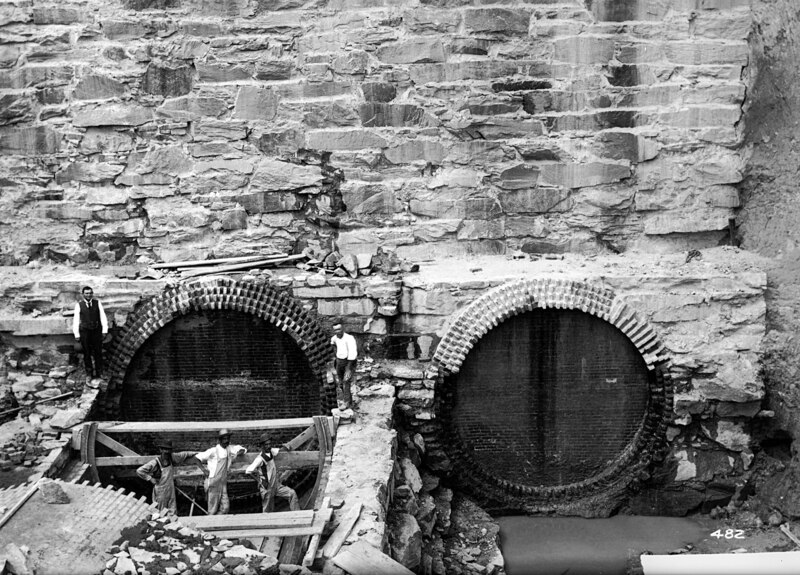 Recent photo from the road, after Gate House was removed, showning vaults and valves. This photo has me baffled. It is showing two 12′ conduits, whereas all the drawings only show one. On the left you can see where the laborers are building the brick lined conduit. On the right, nothing going on. 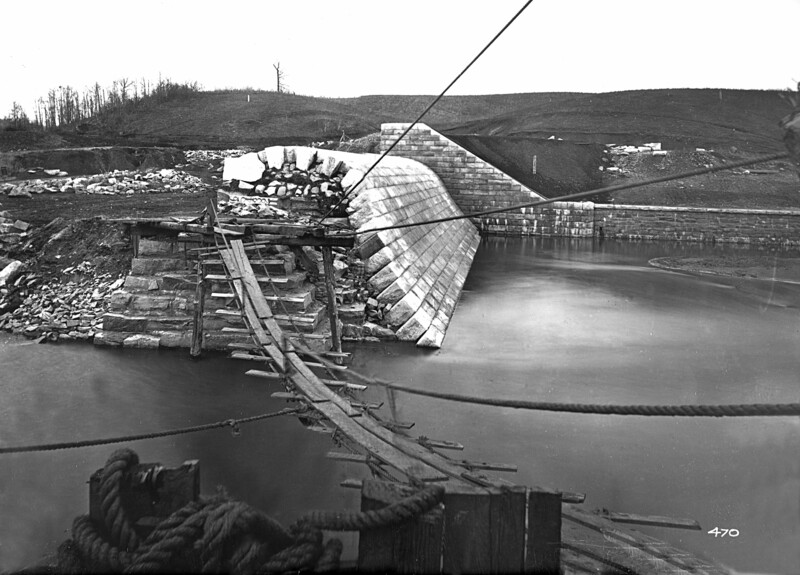 Wondering if it was built in error or was it for a bypass as the dam was being built? 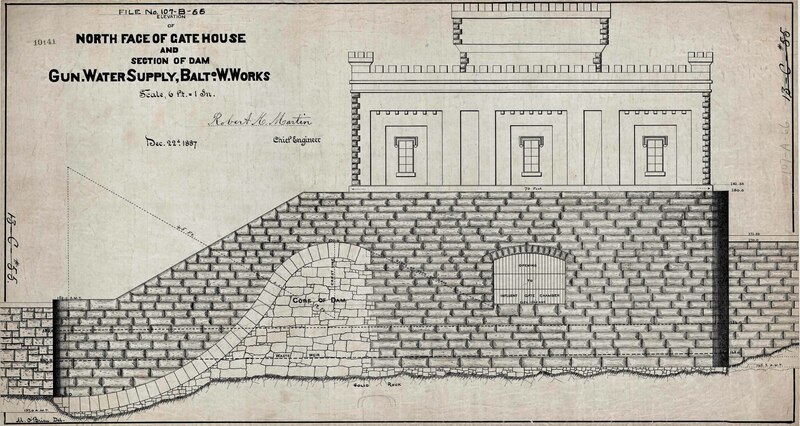 Drawing of the east wall. 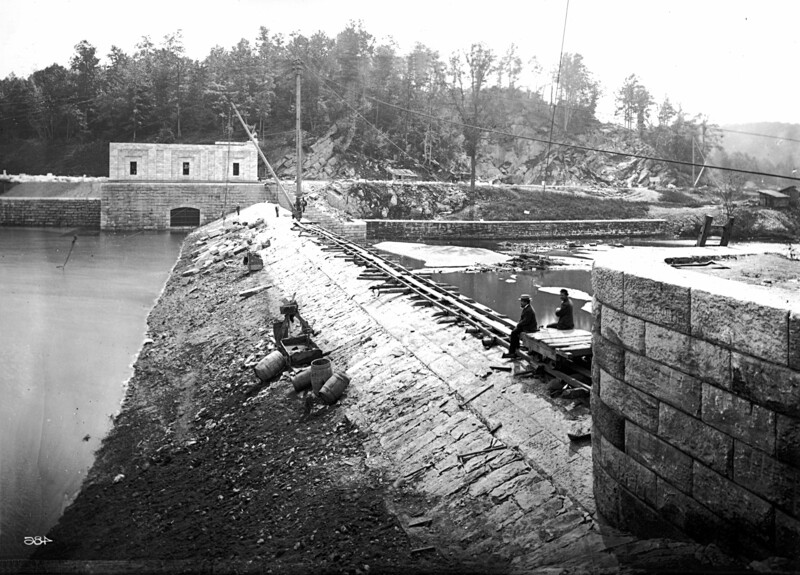 1880s photo of building dam, looking east. Recent photo looking east. Looking close you can see where the stone work stops and cement starts. In the 1970s they put a parallel pipeline in and cut right thru the wall. …the top left of these drawings. The drawing for Shanghai Run. 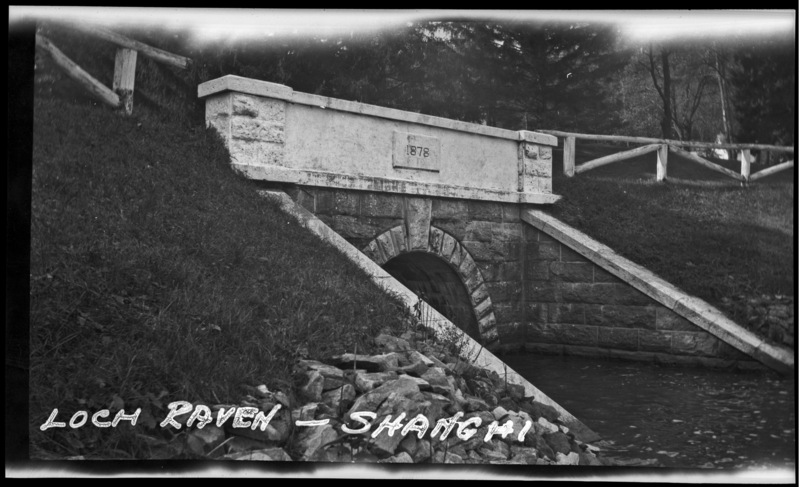 A recent photo of the opening to Shanghai Run. Looking over the wall towards the woods, there is no opening?? City workers lounging and the job is almost completed.